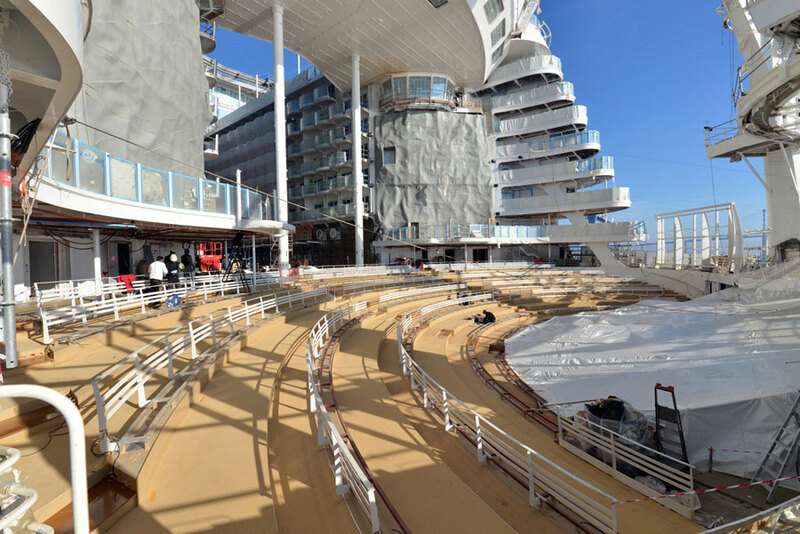 Royal Caribbean has released more construction photos of Symphony of the Seas which will enter service in Spring 2018. 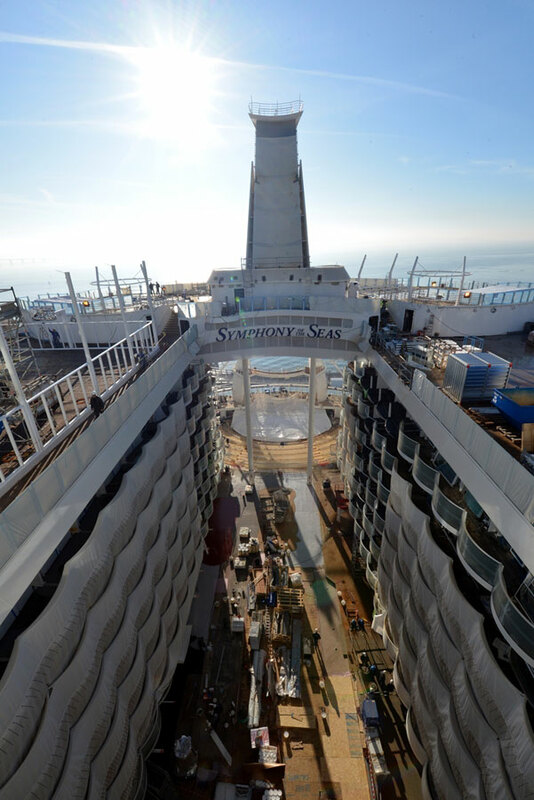 The cruise line has released some new construction photos of Symphony of the Seas which is entering service in 2018. The ship is currently in the fitting out phase and in the final stages of construction at the STX France shipyard in St. Nazaire. Royal Caribbean has released the very latest photos from Symphony of the Seas and if you take a look at the last batch posted earlier in the month you can see how far along the work has come. 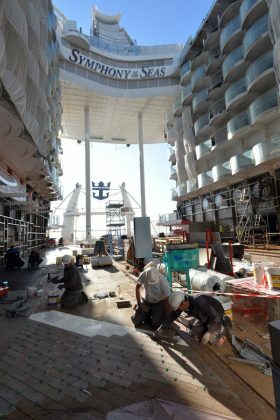 Workers from the shipyard and special contractors are onboard making sure Symphony of the Seas will be completed in Spring 2018. During the ships fitting out phase all the interior spaces will take shape and all those shiny renderings we’ve often seen will become a reality. 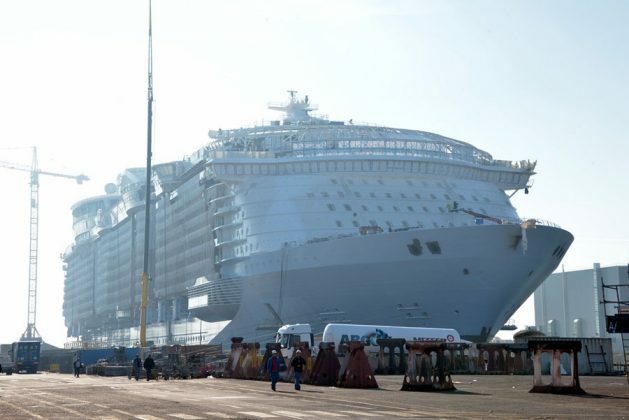 The fourth Oasis-class vessel will become the world’s largest cruise ship with a slightly bigger tonnage than sister ships Oasis of the Seas, Allure of the Seas and Harmony of the Seas. 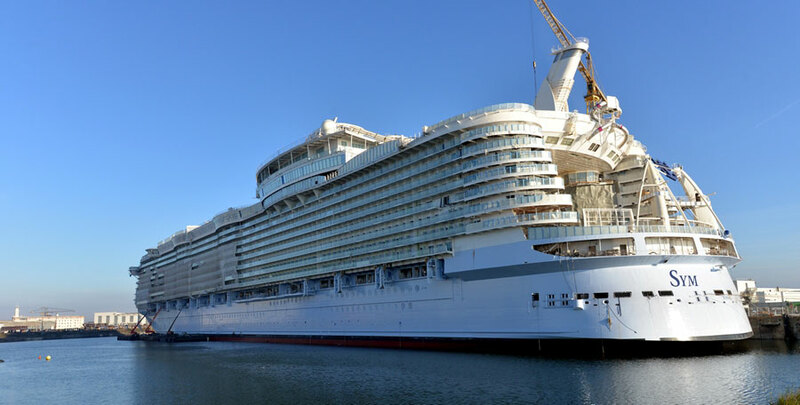 The ships maiden voyage was originally scheduled to depart Barcelona, Spain on April 21 but just recently news came out that the ship is ahead of scheduled and now will offer earlier sailings. Symphony of the Seas will sail an inaugural season in the Mediterranean and will then be based out of PortMiami, Florida. 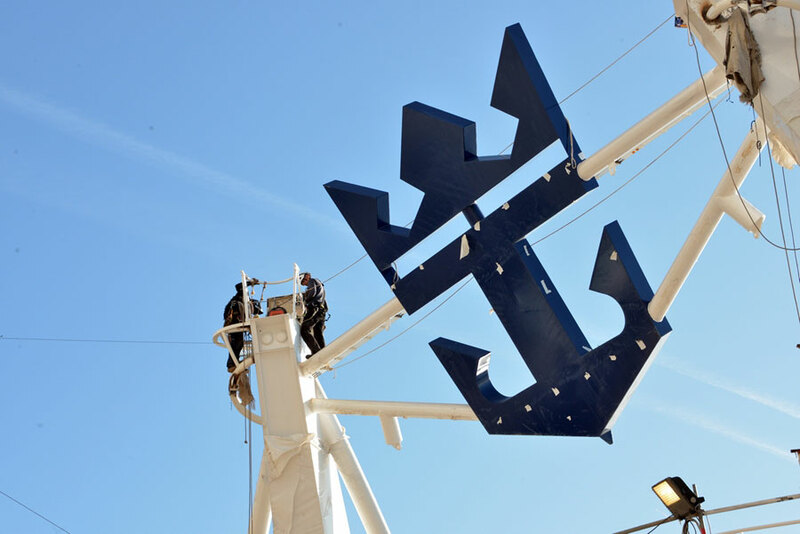 The Royal Caribbean cruise ship will sail Caribbean itineraries starting in November 2018. The upcoming vessel will be 230,000 gross tons and be able to carry 5,500 guests.